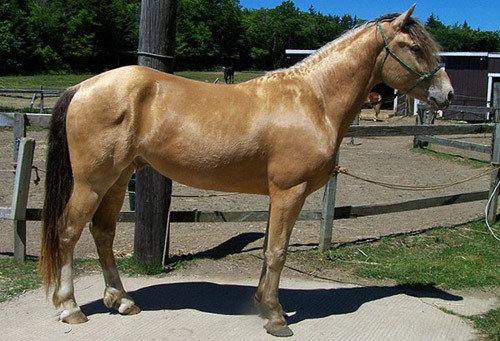 The Champagne horse is a colored breed and is registered based upon their color genetics rather than their breed genetics. The champagne gene is common in several breeds and seems to be most apparent in gaited animals. 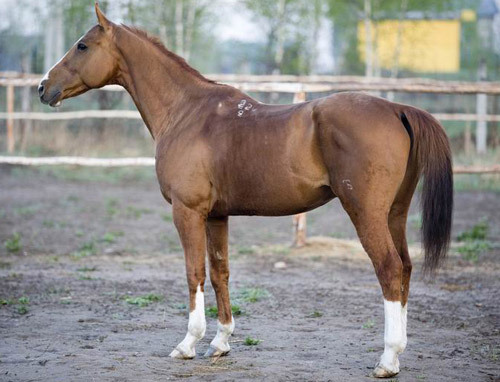 Also called Budenny and Budyonovsky, the Budyonny is an incredibly adaptable and versatile animal bred to be an all-around saddle mount. A relatively new breed, the American Cream Draft is a color breed in the United States. They come from Iowa, originating with a foundation draft mare named Old Granny in 1905. It should be noted that albinism is fatal in equines, a pure albino is a result of lethal white genes from both parents & will rarely live past birth. 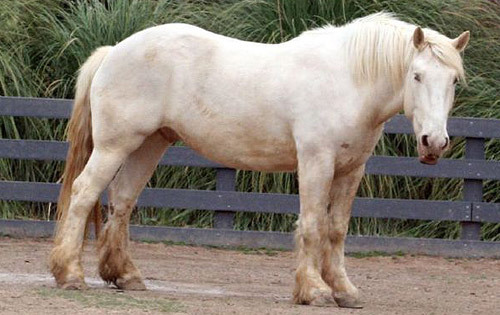 American Albino (also called American Cream & White) horses are white, but not technically albino genetically.